TaylorMade provides an unprecedented statistical analysis experience, designed to help all golfers better understand, adapt and improve their game. Available for IOS, Android and Samsung’s Smartwatches and Smart Fitness Bands. myRoundPro from TaylorMade analyzes golfers' statistics to provide detailed insights into the way they play. 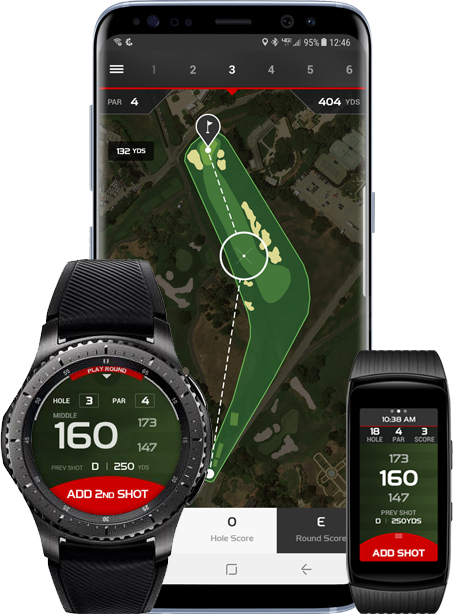 With advanced data like strokes gained, proximity to the hole, and other classic statistics such as fairways hit and greens in regulation, myRoundPro offers mobile golf shot analysis that has been carefully developed to help golfers adapt and improve. 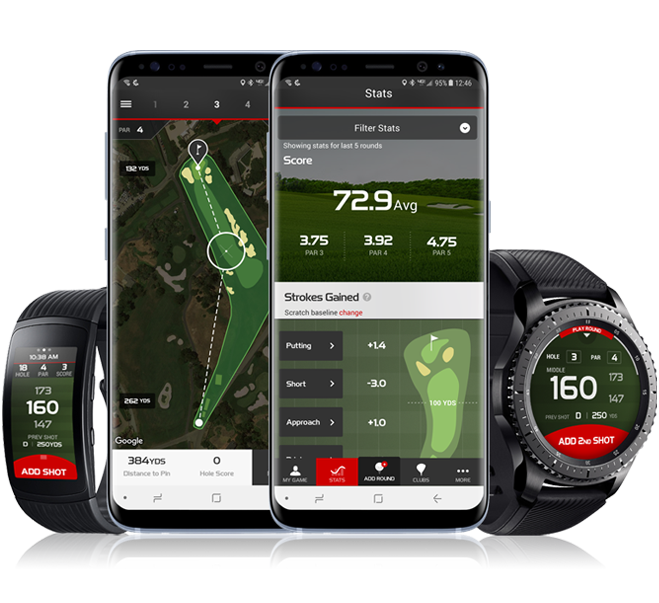 GPS functionality allows you to view detailed yardages to any point on the hole, when using the phone, and provides distance to the front, middle and back of the green on Samsung's Smartwatches and Smart Fitness Bands. 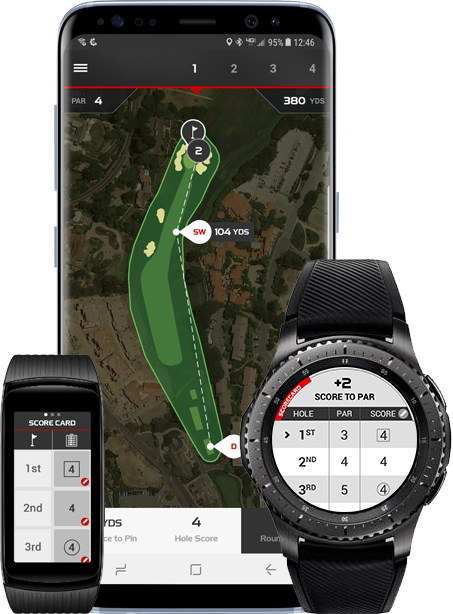 myRoundPro enables you to keep records of your scores, view detailed yardages and on the phone, you can also review your shots using a map on the course, and begin to identify areas for improvement. 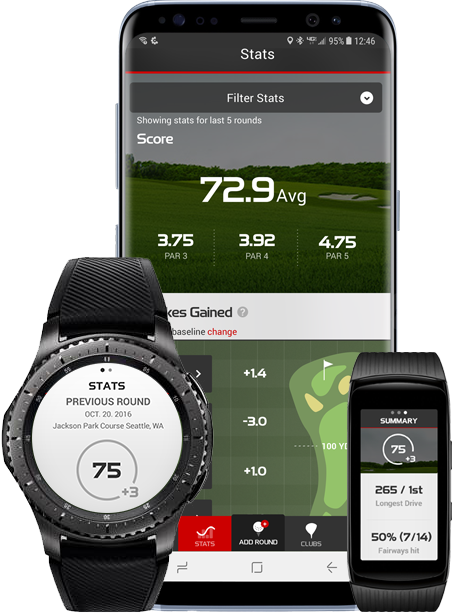 myRoundPro analyzes your performance statistics, including strokes gained, proximity to the hole, golf club distance gaps, fairways hit, and greens in regulation. Iconic design meets Samsung's greatest technology. 4G LTE connectivity uses your mobile data plan so you can send texts, get emails, receive notifications and event make calls all without your phone. ©2019 TaylorMade Golf Company, Inc. All Rights Reserved. All other trademarks are the property of their respective owners. Pebble Beach® The associated images and golf hole designs are trademarks, service marks, and trade dress of Pebble Beach Company. Used by permission.